I am hoping to stay up to date with these monthly updates as this blog is more of how Ryan and I are doing + how the ministry is going. Thanks to those of you who reached out via comment or text or call since my surgery. It has almost been a month and I am finally starting to see some progress, so I am hopeful that this will do the trick. I will know more when I go back to the doctor Monday. As I wrote earlier, January was intended to be a “take a moment to breathe” month for me and Ryan. This happened, but we also were able to take care of a few things with the ministry, as well. Let’s be honest: Ryan handed most of that with Jesselyn as I was pretty loopy for most of the month. January is a month that we usually love spending in Haiti. The weather is so nice and it takes on a laid-back feel as everyone gets back into work. We have been so impressed with the work that all of our friends, partners, and staff have done throughout the month – from their personal work on their homes and educations – to the projects they have been planning and executing and ministries they continue to run. We are thankful for Whatsapp and other social media tools because we talk to our partners there every single day. We got a stateside office! This was a totally unexpected, but very needed blessing. Our friend, Daniel Nance, who got to visit Haiti with us in December, graciously offered a large office space for us in the same office house he has rented for his business. We are looking forward to moving in over the next few weeks. Our water ministry has already completed one project and is working diligently on several! We are so proud of our staff with Justice Water Haiti DR. They work so hard on projects that are strong, durable, and sustainable. They train communities, they use local materials, and they check back up with these communities when they are done. Here’s David, one of our leaders with Justice Water Haiti, on a toilet he created that flushes and is made of concrete (also has a pee trap so it won’t stink). These basic technologies are life saving and empowering when taught to other countries. We had a great vision trip visit with the women of Willow Creek in Barrie, ON. Our friend and partner, Jesselyn, was able to host a small team of people from her community to come and learn more about Konbit and how we work. Here are two of them pictured with our Fanm Konbit ladies. We have an intern! We are so thankful to welcome Kalin Brunell to our stateside team. She’s been working on branding, design, marketing, and just overall help with our stateside functions. We are so thankful for her already and she will be with us (at least) through the Spring! Our children’s program partnership continues to grow! Our biggest program and partnership is with Clelie and her children’s program. It offers family support, help for students, and culturally appropriate lessons. They study everything from the Bible to music to Haitian history, and we are so thankful to continue to partner with her. Our business programs are steady and we look forward to adding more goods to our websites in 2018! We are looking at some neat and creative collaborations with The Haiti Ladies, the women who work in our sewing and creatives program. Keep your eyes peeled for that. 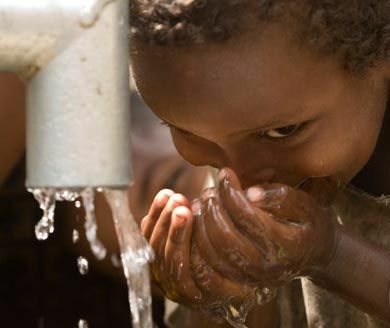 March is coming up – – and you know what that means, Clean Water Blue! For the last few years, we have been raising money specifically for our water projects in Haiti and the Dominican Republic, as it World Water Day is in March. This year, we are kicking it up a little and involving businesses, gyms, fitness classes, and more. If you are interested in participating in this–no matter where you are–please comment below or reach out to us. And so is April! Which means our second annual Konbit Haiti luncheon. We are excited to host our second annual Konbit Haiti luncheon April 16 at 5 Rivers. We are so stoked to share more of Haiti with you, give an update, and more. Stay tuned for more info!